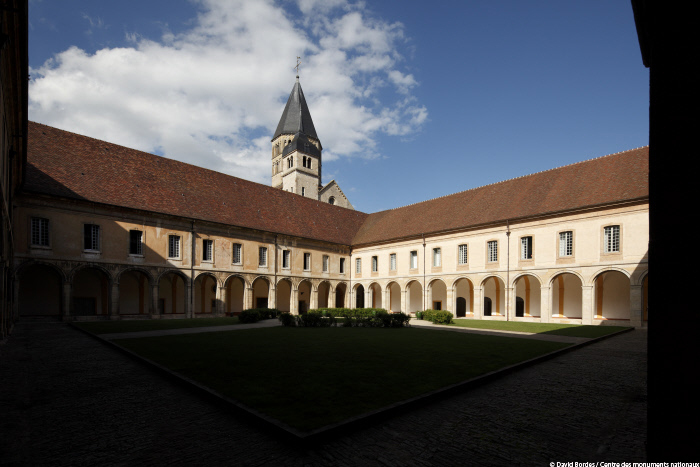 Cluny became a model for reforming other monasteries. Very quickly, across Europe, the Abbey became a model for those seeking religious reorganisation, and a multitude of monasteries were placed under the dependency of Cluny. By the end of the 11th century, Cluny Abbey was one of the most important capitals in Christian Europe. It was at the head of a network of nearly 1,400 dependencies and around 10,000 monks all over Europe. The Abbot at the time, Hugues de Semur, decided to build an Abbey church that would represent the power of God over the Earth, but also the power of Cluny. In 1088, work began on the "Maior Ecclesia", the largest Romanesque church ever built, with vaulted arches 30 metres high. A century later, the narthex was constructed. The Abbey of Cluny, the "Maior Ecclesia" or Cluny III was therefore the largest church in Christendom for nearly 400 years. Some illustrious Abbots succeeded each other over the following centuries, such as Richelieu or Mazarin, but this could not prevent the gradual decline of the once powerful Abbey. However, towards 1750, the monastic buildings were rebuilt and the Abbey was given a vast complex in a classical style. The monks hardly had time to occupy the new premises as the Revolution began shortly after the works were completed. The monks were then expelled and dispersed into the surrounding parishes and the buildings were seized as national assets and put up for sale. The immense church was bought by materials merchants who used it for quarrystone and gradually dismantled this masterpiece of Romanesque art. Today, the parts that remain, such as the Southern arm of the large transept or the small Southern transept, give us an idea of the immensity of this building. A number of other elements survive: the enclosure wall and its towers, the monastic buildings from the 18th century, and the Farinier, a 13th century building which now houses the sculpted capitals from the choir of the "Maior Ecclesia". The Museum of Art and Archaeology displays a number of sculpted remains from the church and the monastic district. A 3D film at the start of the visit to the Abbey shows how the Abbey would have looked in its heyday.